Posted by Sam Smith on Wednesday, June 27th, 2012 at 7:03pm. Newport Beach Landmark Estate Homes only come on the market from time to time as these prime properties are considered the most sought after homes in their respective communities. Often times, landmark estate homes will have a rich history of when the home was built and often times are located on corner view lots. One of the exciting landmark estate homes is offered for sale in the Linda Isle gated community. The home is a true landmark bay front home with over 133 feet of bay frontage and is well known throughout the Newport Beach community and currently offered for sale for $24,500,000. Another exciting landmark property has come on the market in the Newport Heights area that covers two contiguous lots and built in 2001 in the classic California Spanish Colonial design and listed for sale $4,500,000. Often times these landmark homes will have a premium in price due to the rare nature of it's landmark status. Both of these properties can be found on our Newport Beach Landmark Estates page listed below. 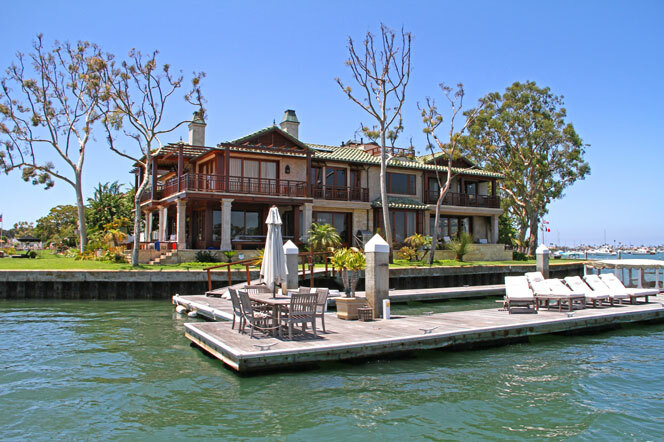 Typically these homes are either located directly on the water or on over-sized large lots here in Newport Beach. The communities to watch for these landmark homes on the water would be Harbor Island, Bay Island, Linda Isle, Bayshores, Lido Isle and Balboa Island. If you are considering buying a home in Newport Beach it's important to view the different communities and locate the best location for you. As many of these communities are located in gated communities you will need to assistance of a local Newport Beach Realtor. Please contact us today for private showings of any of the Newport Beach neighborhoods.